Home Uncategorized SONGKRAN – Happy New Year Thai style. Thailand is one of the most amazing holiday destinations you can imagine. A travellers dream and if you have not been yet,then all I can say is GOOOOO. I can’t stop myself from promoting this beautiful country which offers almost everything you can think of when you looking for a holiday. Sun, beaches,mountains,wildlife,friendly people,temples,bustling cities, great food and if you want to party, then some of the best raves and full moon parties you can think off. 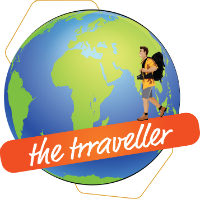 It’s a travellers paradise and yes Thailand was the first country I visited as a solo traveller back in the days. I have subsequently visited this country umpteen times and yet there is something new to be discovered every time I have gone back. This time I was lucky enough to find myself in the middle of the most celebrated festival in Thailand and the Thai New Year. – SONGKRAN. It’s April and yes its New Year, as Thailand follows the lunar calendar and this Land of smiles turns into one massive water party during this time of the year. The Thai New Year’ Day is officially the 13 April every year, but the celebrations normally start on the 12th and don’t stop until the 16th. And that’s when the Songkran festival is celebrated. Everyone has to expect to get wet during Songkran.If you’re heading to Thailand during this time, don’t expect to stay dry for long when out in public. No one is exempt. One of the most important events on the Buddhist calendar, Songkran marks the beginning of the annual rain season. The word “songkran” comes from the Sanskrit word saṃkrānti and literally means “astrological passage” It coincides with the rising of Aries on the astrological chart. Happening at the end of the dry season the festive days give locals an opportunity to show their respect for water, the most important element for agriculture. And what better way then to show your respect by throwing water buckets on each other! Yes that is how they show their respect in this festival. What was once a simple visit to a local temple has turned into a revolution with water pistols, balloons and general splashing about. The Thai still visit their local temples to pray and wash Buddhist statues which is said to bring prosperity and luck for the year ahead. Songkran festivities may last as long as four or five days, and involve music, dancing and liberal amounts of alcohol. Revellers move around the streets in open trucks with barrels of water, drenching everyone in sight. Bangkok is relatively less busy during this holiday, as most locals return home to celebrate this festival with their loved ones. If you are in Bangkok during Songkran like i was ,you’ll find designated water zones across the city. Khao San Raod in Bangkok is a popular Songkran destination, with both locals and tourists enjoy this festival and douse each other with water. Remember that the festival is fun so take the splash in good spirit. What did surprise me was in-spite of the huge crowds and liberal amounts of alcohol limits there was no misbehaviour and a very child friendly atmosphere everywhere I went. The children absolutely loved it and if we did get another chance to experience it again we would not miss this for the world. “Sawadee Bee Mai” meaning “Happy New Year”. * a waterproofed camera/smart phone. * some money to spend. * positive attitude and ready to get wet and have a great time. Find the nearest battle spot and go there in the afternoon. There are several locations in and around all major towns and cities in Thailand. Depending on your location you would probably want to go to the biggest one. So if you’re in Bangkok, your destination is Khao San Road, or Siam. I have never experienced anything like this in my life, so if you can make it to Thailand during Songkran dont think twice. Next articleHong Kong in 5 days. Looks like that was a fun day! Wow, I am planning a visit to Thailand. Will keep this festival in mind while traveling. Nice pictures and splashing of water with water pistons and balloons sounds interesting. Willtry to visit Thailand at this time of the year. I have a lot of friends who have been to Thailand for Sonkran. Unfortunately, I haven’t been despite living in Southeast Asia. Your enthusiasm is contagious; I might just consider going there soon. Such an interesting place I wanna visit one day to know their culture and way of living.. I’m interested in shopping as well as they said a lot of great stuff there. This is included in my bucket list. Thank you for posting. Great info. I did not know that New Year was in April in Thailand. I would have assumed it was around January-February, like the Chinese New Year. It’s also very interesting to learn about the history and origins of this celebration and the water games! Seems like a fun time to visit Thailand! It’s fun to see the whole city get involved in such festivities . Nicely captured . Great post . Never listened to this before. This post brings out the curiosity to search more about it. Great one. Is it something like makar sankranri in India? I loved the way you narrated your experience. I would love to visit thailand during this time and enjoy the festival myself. Its similar to holi and the timing and some of the reasons behind it. I love how Thailand can have huge crowds and even alcohol, yet remain child friendly. That says a lot about the inherent respect in the culture. We came a little too close to a full moon party last visit, but Songkran seems like it maintains fun and decorum. Brilliant time to visit Thailand and experience the festival. Try n make it once in your lifetime. Wise thought 💭 must say. But we do need to have some fun. I love Thailand but I have never been there during Songkran and have always wanted to! I’d love to take my daughter to experience this one day because I know she would absolutely love it! Loked like os much fun. It’s great find for kids. Hope you can experience it one day. I love the atmosphere here. Though i tend to prefer avoiding all such places with too much crowd, this seems different. It seems fun and a great community experience. I would not mind getting drenched here at all. Recently I was invited to Songkran festival in Thai restaurant and I really enjoyed it. For first time I was part of such great Thai festival. Visiting local temple with water pistols, balloons and splash games reminds me of our Holi festival. Wow this festival is celebrated for agriculture and I think there are very similar festivals in India too. Great to know that Songran is Sakranti from Sanskrit. Sanskrit is so much wide-spread. What a lovely way to capture this Thai tradition. And I’m not aware of other events where you’ll need a water gun. What a unique highlight of this country. Thailand looks so beautiful! It is definitely on my bucket list for the future. This seems to be a great tradition to experience, I would love to be in Thailand during Songkran. Thank you for the informative post! I totally must agree with you – Thailand is such a wonderfully beautiful country to visit. I absolutely love it…and yes Songkran is such a great and unique time of the year. This fantastic Thai tradition is so fun and a great way to welcome in the new year. A great highlight for sure! It is such a shame that I missed Songkran by just a week. Had I known earlier, I would have extended my trip to Bangkok. The festival looks very similar to the Indian Hindu festival Holi. I agree with you, Thailand indeed is a country with a lot to offer. It is good to read that people behaved well. I have thought of visiting Thailand many times now, however, I was discouraged each time, because it has become such a touristic destination. I would have to reconsider that and visit it during the New Year festivities. It sounds like sooo much fun! I would absolutely love to take part in that water gun “fight” 🙂 🙂 Based on your photos, it is time spent so enjoyably! Lucky you, we are thinking where to celebrate New Year! Every weekendI used to pay a visit this website, for the reason that i want enjoyment, as this this website contains genuinely? Songkran is a wonderful time in the Thai calendar. I was in Chiang Mai in April this year, at that time. Nobody is exempt and I have never been so wet in my life.Not mention random people just throwing buckets of water over you. It was a fantastic time and the Thai people had some public holidays for it, and they travelled to stay with their families. Reading this article is timely as we will be in Chiang Mai for Songkran. Thanks for explaining the significance and what to expect. Looks like a load of fun. This festival really sounds awesome! It’s the third winter season I am spending in Asia and havent been in Thailand int he right time to experience it. But I aglad I came though this post right now. I am considering arranging my shcedule to catch up with it this year. Well, that looks very festive – and shooting water guns at people seem right up there with great things to do during New Year celebrations 🙂 I always enjoy myself in Thailand – I guess this is no exception. If I go that way again, I will have to correspond it to the celebrations. I heard a lot of Songkran, and glad you had fun in the celebration. Too bad in the many times I went to Bangkok, none of them during the celebration. It’s good that you wrote about what to expect, the survival kit, and the best area to do it for visitors who want to experience Songkran. The Songkran festival looks and sounds like quite an amazing experience! Totally would love to visit Thailand one day during this time. Will definitely be packing extra clothes! It’s been a while since I have been in a water fight, so this would totally be a cool experience! I have also experienced Songkran in Thailand, in Bangkok and Chiang Mai and have had a great time. Your post made me nostalgic. In fact I also wrote a blog about it calling Songkran, a close cousin of our festival Holi in India. I really like the fact that Songkran involves no dirty colours and only water and mud. Its so nice to have such a culturally immersive tour. I love to know about the new year traditions in different cultures. In India also we have festivals marking the beginning of different seasons and our new year starts with the Spring. Yes a very different fun way to celebrate the new year.